The Multi-Sharp® Cylinder Mower Sharpener accurately re-grinds sharp new cutting edges on the cylinder blades of most cylinder mowers, whether hand, electric, battery or petrol operated. Including: Alko, Bosch, Einhell, Gardena, Ginge, Brill, G-Tech, Handy, Husqvarna, Powerbase, Qualcast and the majority of other makes (except Webb). Attaches to the fixed bottom plate of the mower (every cylinder mower has one) while sharpening. It works on the same principle as professional sharpening-radial grinding. 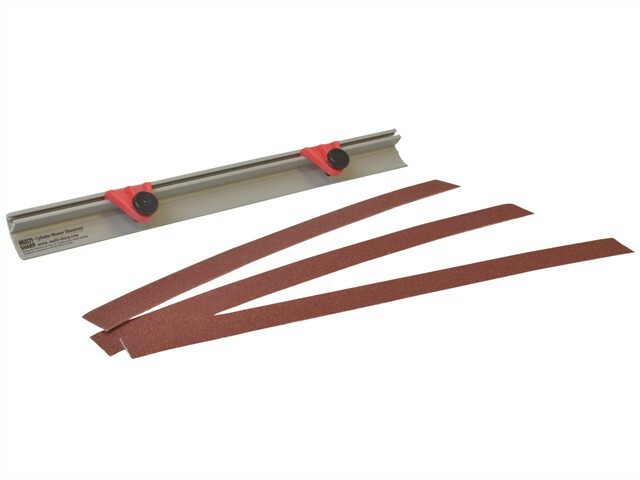 Replacement abrasives are available for keeping the mower blades sharp, year after year. The product is recommended in the best selling Expert series: 'The Lawn Expert' by Dr Hessayon.